MailboxWorks’ custom mailboxes can be personalized and upgraded with various accessories to give you a totally customized mailbox setup. A custom mailbox design is an impressive way to add a finished look to your home and distinguish your home from the neighbors. 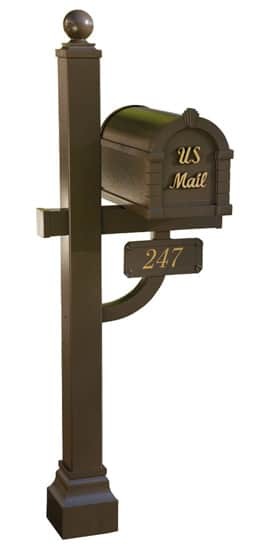 Create your custom mailbox design with your own color and mounting style, and select from extra features like a decorative caps for mailbox posts and racks for newspapers or magazine mail. At The MailboxWorks you will find a terrific selection of residential mailboxes that you can customize. We have a vast array of wall mount and post mount mailboxes in a variety of designs and finishes to create the perfect unique style to suite your home. 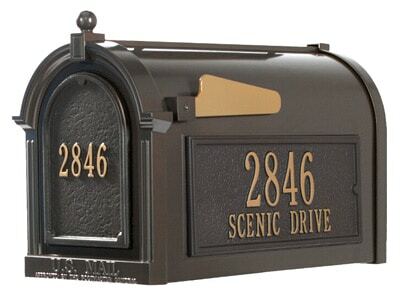 Complete your custom mailbox look with a decorative address plaque. Our custom mailboxes are a wonderful way to enhance the look of your home, and offer the added value of durability, high performance finishes, and accommodating size selections. Unique custom mailboxes also help identify your home to visitors and guests. 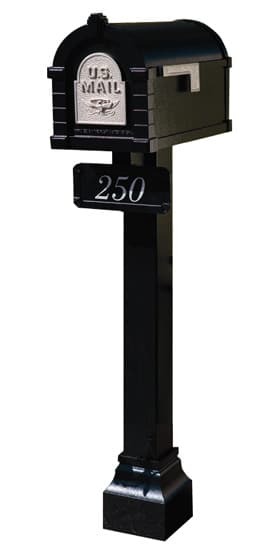 Personalize your own Whitehall post mount mailbox, which are 20% larger than most premium mailboxes on the market today. 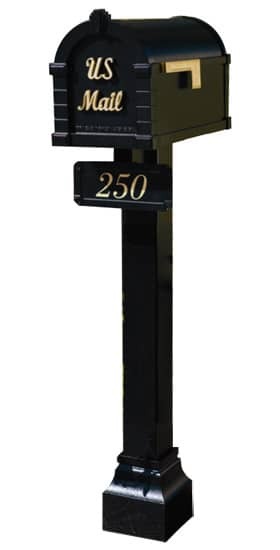 All customized Whitehall mailbox components are manufactured from die-cast rust free aluminum. 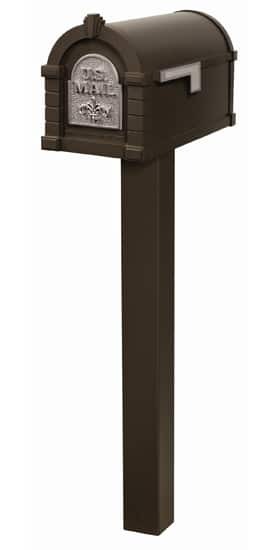 Choose your mailbox and post color, post style, post top, side and front panels, post cuff and topper, and newspaper holder. Keystone Mailboxes allow you to create a completely custom mailbox package. 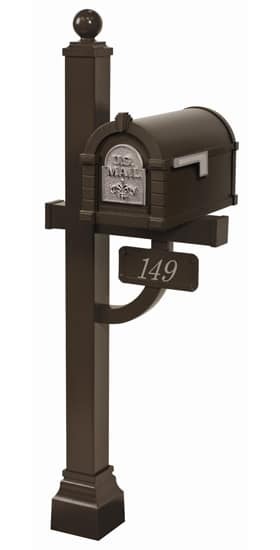 You chose the mailbox and post color, plus the door accent, post style, address plaque, address lettering, locking insert, post cuff and newspaper box. These are highly practical and secure post mount custom residential mailboxes that can be personalized to meet your specific requirements! The MailboxWorks is also your best source to purchase customized commercial mailboxes by fine manufacturers like Auth-Florence. We offer post mounted aluminum cluster boxes, in a number of configurations and styles. You’ll find locking commercial mailbox options, as well. Find the perfect solution for your commercial custom mailbox needs. The MailboxWorks also allows you to upload your own photo for application to both sides of your custom photo mailbox. Choose from a full wrap photo or a photo design on both sides. 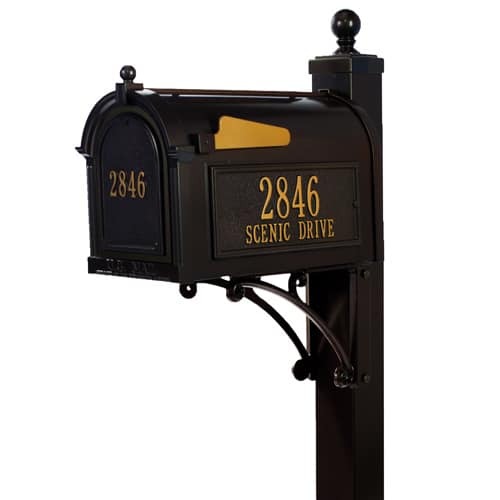 We also carry a variety of decorative handcrafted custom mailboxes. Why Use A Standard, Generic Mailbox for Your Mail Delivery? Custom mailboxes are an impressive way to add a finished look to your home. Our selection of custom residential mailboxes that can be personalized to best suit your needs includes wall mount, post mount, and column style mailboxes, as well as decorative options such as hand painted mailboxes and novelty mailboxes. Ask our mailbox experts about antique and Victorian mailboxes that blend beautifully with old world styles, or inquire about modern mailboxes for contemporary style homes. At The MailboxWorks our goal is to provide the best mailbox selections and opportunities to customize your chosen mailbox at the lowest prices. But we also want to provide you with the absolute best service. Contact our mailbox experts for help ordering a custom mailbox for residential or commercial use. Ask us a Question about our custom residential mailboxes.